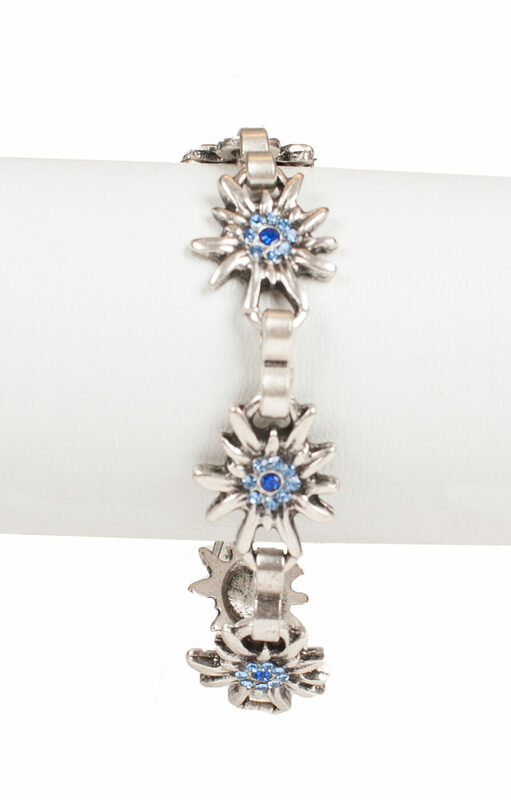 Bracelet with edelweiss and blue crystals. 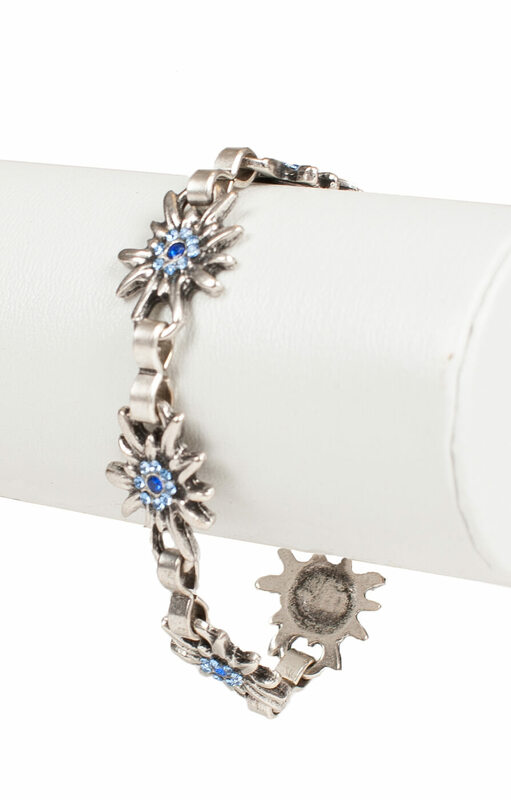 Boasting a row of large silver flowers held together with infinity links and fastened with a spring ring, this adjustable bracelet with edelweiss motifs would complement a grey or blue Dirndl splendidly. 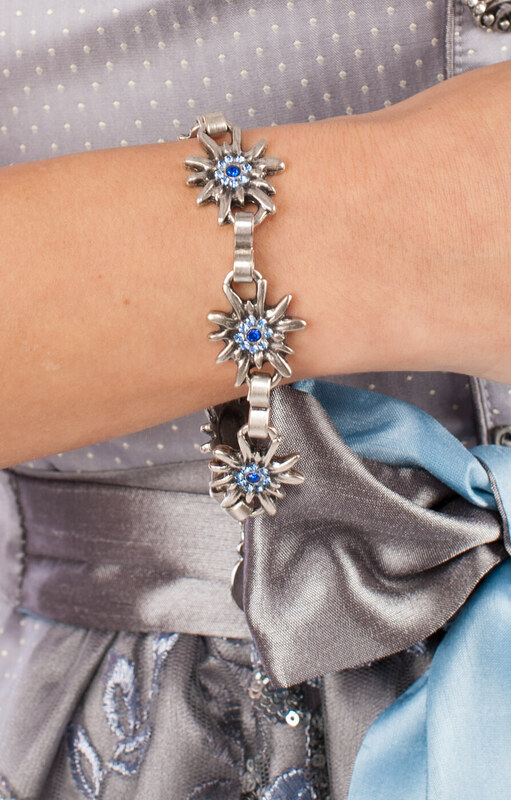 Each edelweiss flower features a bright marine blue stone at the centre, surrounded by light azure crystals for a dazzling effect worthy of Oktoberfest.